Geoff, thank you very much for a few minutes of your time and lets keep you on schedule. Of course, we'll start right off with the new record. The New Reality, it's a couple days old and how does it feel to have that out and complete your trilogy? Oh, it feels great. Yeah, I'm very happy with the record. It's been a real long exposure with this story and this record. I've been working on it for the last three years. [Laughs] So, it feels good to have it finally finished and out. Since it's come out to complete your trilogy, the one thing I know that a lot of fans, myself included, are interested to know is do you plan to get out there shortly to tour on it? Yeah, I'm actually touring starting January 11th. I start in Ireland and I'll be into North America in the fall, I think September. Wow. This tour is going to have some legs behind it and for the first three albums of Operation: Mindcrime. Yeah, well it takes a while to get everywhere in the world. [Laughs] I'm, kind of, dedicating myself to touring everywhere I possibly can in 2018. I want to try to get to some places I've never been before so I'm looking forward to that. Absolutely, for sure. You said that you are starting off in Ireland. Have you played there before? With the record and everything you've put together for it. When it comes to the design of it and the story that it tells as far as a closure point of it, how do you feel about the way the story capped itself? Great, very excited about the album and I think that all three of the albums are a journey for most people and they'll be enjoying it for years to come. There were a couple of songs that I wanted to feature for this, the songs that really spoke to me that I was hoping you'd speak a little bit on. The first song I wanted to ask you about was "It Was Always You!." With the way you designed that song to come across so early in the album what was your idea behind writing that one? Well, the whole trilogy is put together as a bit of a mystery and a bit of a journey. So, I don't necessarily like to discuss individual tracks to much and the meanings behind them simply because I want the listener to, kind of, find their own way through it. Now, one thing that I've done that is sort of interesting that some people pointed out already is I've left little audio breadcrumbs, so to speak, that you can collect as you listen and those breadcrumbs lead you on a trail to an actual destination. So, it's all a bit of a treasure hunt and a mystery and so I like to let people, kind of, find their way through it. I can definitely respect that and I'm going to leave it at that. [Geoff Laughs] Now I'm excited to go back and listen to all the records again together. I'm a big fan of these stylistic ideas and albums and things like that. With this trilogy and going back to both of the Operation: Mindcrime Queensrÿche records I think you have an excellent track record for telling an amazing story. Absolutely. When it comes to the release of The New Reality and closing out this trilogy. Of course, you don't need to look to far ahead in the future with this record just coming out but have you entertained the idea as to whether your next series of music would be a new set stories or individual pieces? You know, I haven't actually. I'm, kind of, enjoying the creative breather I've been on. [Laughs] Since, I've turned in The New Reality. So, I've just been thinking about touring and getting myself together for that and pulling a set list together and getting my band members together and that, kind of, thing. Actually, the day-to-day organization of all the things that have to get put together for the tour, I'm actually, kind of, enjoying working on that right now. I can definitely imagine that and the one thing I think is really interesting, now that I think about it when it comes to your tour, is exactly what songs you do choose to perform from those records and how they would fit together considering it's one long story through three records. Yeah, I know. And also, it's my eighteenth record, can you believe it? 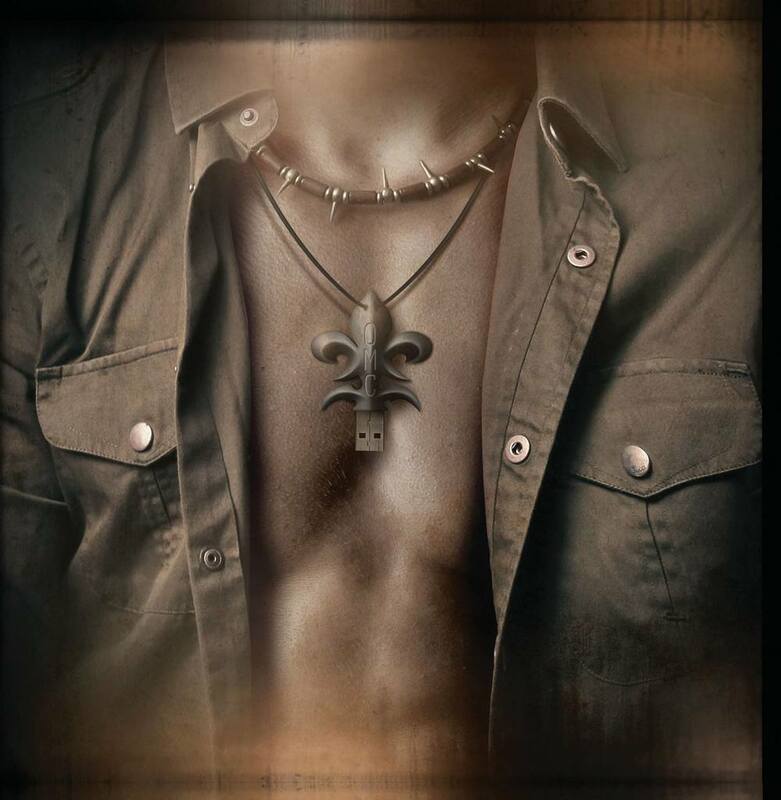 [Laughs] One of the things I am doing this next year, in my tour, is it's the thirty year anniversary of the very first Operation: Mindcrime album. So, I'm playing that album in its entirety for the first hour of my show and then segwaying into a number of tracks from my eighteen albums. [Laughs] So, it's going to be a pretty monumental tour. That's awesome! You've played a few shows not just with Operation: Mindcrime but also with the Trinity project at Rams Head Annapolis and I'd love to invite you and hope that you would return to the Baltimore area so we would get to see that. Yeah, I love that venue. That's a great little place. Speaking of venues, of course you have history, but if you weren't already familiar they're working extensively on reopening Hammerjacks. Is that a venue you'd be interested to play should it reopen? Yeah, I thought it did reopen? Did it not? Not quite yet. It's definitely been a long project but the doors aren't quite ready yet. Oh, OK. Yeah, absolutely. I played there years ago. I think the last time I played there, I'm going to guess, was mid-80s. Like, maybe, 86 or 87. Something like that. When it comes to doing a tour of that magnitude and performing Operation: Mindcrime in it's entirety and then doing bits of Queensrÿche to Geoff Tate to Operation: Mindcrime the band, what do you think the set up would be? Would you be trying to go chronologically or do you think you're likely to splice it up a bit? You sure could. You've always been so nice about talking about your history with Queensrÿche and I've always liked my interviews touch a little on every artists history. I have two things I'd really like to touch on when it came to Queensrÿche and one is simple enough. What do you remember about joining the band? Oh, I remember everything. I have a very good memory. [Laughs] It was a time when I was working with a number of different projects and Babylon was an original band of writers and so was Myth and we were writing songs together and playing very limited performances around the area. The Mob was a band I had been in a while doing performances only that was a cover band. The guitar player in The Mob, which was Chris DeGarmo came to me at one point and said, "Hey, we've decided that we're going to try and write some songs and I've got a couple. Would you be interested in listening to them and seeing if you wanted to add anything to them?" I listened to them and liked what I heard and I said, "Lets get together and see if we can write something together." We did and that became "The Lady Wore Black" and that's how we got started. I went in and recorded those four songs that became our EP (Queensrÿche) and that ended up being sold to EMI (Records) and the band got signed. The other question I wanted to ask that pertains to Queensrÿche was more for myself because of all the music you've put out and the Empire record was huge for you guys, one of the songs that speaks personally to me is "Another Rainy Night (Without You.) I'd love for you to talk a little about that song, the writing behind it and the message you were putting out. Again, you have all these plans going for touring this coming year and you mentioned that you're starting off in Ireland. When it comes to performing live everyone, that's a fan of all things rock and metal, have always talked about playing in the States and playing in Europe. Do you fancy playing one over the other or are you just happy to perform your art anywhere? No, I really love playing anywhere and everywhere. I've played in gigantic soccer stadiums, I've played in little, tiny living room sized venues, I've played on the back of a flatbed truck, I've played on street corners, you name it. [Laughs] I play everywhere. It doesn't matter where. Just as long as it's a place where people gather to celebrate music, I am there. Another thing I wanted to ask you because I'm always very interested in what the artist's personal endeavors are. I work in a restaurant and I'm a drinker of it myself so I wanted to know how everything was going with your wine? Insania and everything. It's going really well, actually. Insania is our new vintage, it's about to come into the United States and will be here in the Spring. All the wine fans that have been waiting will finally be able to get some. Will it be varying styles like whites and reds? It's a red and a white. The red is Pinot Noir and the white is Pinot Grigio. I can't wait. I'm very excited about that. How many different bottles and styles have you put out since you started? My first vintage was 2007 and I've put out almost something almost every year. Another thing that I always thought was very cool was you partook in a metal tribute album to The Beatles performing "Lucy In The Sky With Diamonds" (Butchering The Beatles: A Headbashing Tribute.) It's one of my favorite Beatles' songs so I'd love for you to talk about how that opportunity came to you. Yeah, I'm trying to remember. That was a long time ago. I think that was through my friend Bob Kulick who was doing a lot of tribute projects at that time. He simply just asked me if I would be interested in partaking in that and participating. I was. I'm a Beatles fan and that's one of my favorite songs. Do you have a favorite Beatles album? [Laughs] Well the first album I ever remember hearing when I was growing up was Meet The Beatles!, actually. I don't think it's my favorite one now because I quite like Revolver. Years ago, when CDs came out, [Laughs] I was on EMI Records and EMI gave everyone on the label the whole Beatles collection on CD. It was fantastic. I was always a Beatles fan but when that happened I became even more of a Beatles fan because there's all these bonus tracks and songs I'd never heard and albums that honestly I wasn't that familiar with. So, I got to really hear everything. It was great. That's awesome. And, to bring this back around to The New Reality. What is it about this trilogy that you would like the fans to take away from it? Is there a message or a feeling or anything like that? I guess, for me, it would be a bit of a proclamation. For instance, I think this is the most exciting time ever to be alive. Here we are in the 21st Century where all these amazing things are happening. This gigantic social shift is occurring which I believe is really caused by the high level of communication that we're all experiencing right now. Only to get, probably, more intense as time goes by. But, this group of albums really, to me, is a testiment to those dramatic changes that are happening all around us. How do you feel about the world right now as far as people banding together? There's been a little bit of sadness in the world lately so what would you say about people just coming together better and supporting each other? Well, I think that will be a step that happens. I think we're just, right now, in the stage of really looking at ourselves critically. There's a lot of comparison going on in the world and especially in America right now. We're comparing what we have and we're comparing what we know and what we're experiencing. All these things are becoming very apparent to us so there's going to be something that occurs because of that, I'm sure, and I think we'll find out what that is going to be fairly soon and it's just an incredibly exciting time. Geoff, thank you very much for taking some time to sit with me and talk about The New Reality and congratulations are very much in order for your trilogy being complete. Thank you. You're a great man and you've treated us fans very well. Oh, my pleasure and thank you for the interview. I really enjoyed it and I hope you have a Happy Holidays and hopefully we'll meet up on the road in 2018. First of all, talk about the tour and how it's going? It's going great. It started in November in Europe. We spent six weeks over there touring and then came back to the States and we've been out for five weeks now. This is our last week here before we take a break for a week or so and then I think we've got two weeks left after that for the States. It's going great, just a really excellent tour. My band's fantastic to play so and we're having a good time. You mentioned how much you enjoy the band around you. How did you go about choosing your members? Kelly Gray on guitar and Randy Gane (keyboards) and I go back to 1979. We started playing together, writing music and we had a band before Queensrÿche. Through my Queensrÿche years, Kelly and Randy were both involved with that in various stages. Kelly produced and co-produced records with Queensrÿche and played on the records and also was a guitar player in Queensrÿche for a while. Randy played live with us on several occasions, touring with us and played on Queensrÿche records as well so they've always been involved in my life in some manner. Scott Moughton (guitar) and I met, maybe, 18 years ago, I guess and started working on some material for my first solo album and played on that record with me. Simon Wright (drums,) I met on AC/DC's tour when Queensrÿche was opening for them. We became friends and have been friends ever since and that was in 1986 and Tim Fernley (bass) is the new guy in the band. He's just taking over for John Moyer while Moyer's out on the Disturbed tour. It's a great bunch of players. Great friends and that's really nice to be able to play music with your friends. One thing I wanted you to talk a little bit about because you talked about this at your Annapolis show. I understand that there is only so much that you can give away about it but you were talking about your current album, The Key and that it's the first in a trilogy. I'd was hoping you might reiterate about what the fans can expect with this trilogy and how the setup for it was going to go. Yeah, sure. We wrote it all at once. So, the second record is finished and it comes out this coming September. The third record is written and recorded but not mixed yet. So, that comes out the following September. What I really wanted to do was release three albums that told one story. I like the idea of a trilogy. I like the idea of how much more in depth you can get with the story-line and with character development and such and musically you can really stretch out too. So, we wrote it all at one time and finished, of course, the first album first and so the others are just waiting to come out. But, it's a story about four guys that invent a technology that gives the user of the technology the ability to see reality in a new way. A new way that hasn't been taught to us before. That's taking into consideration that one believes that our reality is something that we learn. In a lot of respects it makes a lot of sense to me. Being a parent and teaching children or programming children is another way of saying it. We, kind of, define what our children's lives are like or what they see and what they know from a very early age. We define everything and we say, "This is a table, a chair, the sky, a car, a cat, a dog." We have definitions for everything and those definitions form what we know is our reality. So, in my story, these four guys invent a technology that allows the user to see the reality in a different way and because of that it has all sorts of earth-shattering implications. Time travel, for instance. There's a lot of people, a lot of scientists now that believe that we won't be needing fuel soon for space travel because our ability to understand what time is, is changing radically. So, in my story, these kind of implications become apparent for the individuals involved and a conflict arises between the individuals. Some want to take this technology and market it and sell it and become incredibly rich and others in the group see that the technology could be used in such a way that if it was given to the world it would radically change the way we exist and they think for the better. So, this conflict arises and that's where the first album ends, with the introduction of the technology and the introduction of the characters involved and then the conflict that arises. Leading into the second album are you allowed to say what the title you've chosen for it is? Or, is there still time before that is disclosed? Yeah, I'm going to make an announcement about it closer to the release date. I'll have a lot more information regarding it at that time. People are always going to want to know and like to look back. I have a style when it comes to my interviews and I like to talk a little bit about history. I'm not looking to go to far back but I want to talk about Queensrÿche. Now that time has passed, how do you look back at your time there? Are you happy with everything you've accomplished? Unfortunately, the end wasn't to people's liking but how do you look back on your time with everything you did for them? I don't typically look back, honestly. I've never really been one to reminisce and I've always been one to be more focused on the now. What I'm doing at the moment and really keep an eye towards the future of what I want to do. Setting goals for myself, that kind of thing. With your choice in band names for Operation: Mindcrime. Of course, two very well known and excellent albums that you put out with Queensrÿche. Was your choice in going with that name for your band based off being able to tie a little bit to the history you've established? How did you decide to go that route? Yeah, good question. After thirty plus years of signing everything that I did creatively as Queensrÿche rather then my own name, the name Queensrÿche is quite a bit more well known then my own name. So, I really needed a word or a phrase or a name that people could find me under and Operation: Mindcrime is very well known. Also, it kind of paints a picture or sets the tone for the kind of music or the kind of lyrical direction, the kind of albums I'm interested in making which are conceptual albums. I can imagine you've gotten this question before but for the fans that don't know, have you listened to either of the two newer albums they've (Queensrÿche) done with Todd (La Torre?) If so, what is your opinion on them as far as them stacking up to your work? Honestly, I haven't listened to anything they've done. No. Are you looking for your next body of work, we'll say for another thirty years, looking to go under the Operation: Mindcrime banner? Or, do you plan to release any more solo "Geoff Tate" albums? I might, yeah, in the future. I just don't have any immediate plans to do that. I'm really focusing on my trilogy project right now.